We have a stunning range of luxury leather dog leads, most of which are handmade for us here in the UK. We have a variety of colours and styles for you to choose from so you are sure to find the perfect leather lead for your dog. Many of our leather dog leads have matching leather collars to complete the look. Arguably much stronger and more durable than fabric dog leads, leather dog leads are functional and stylish. 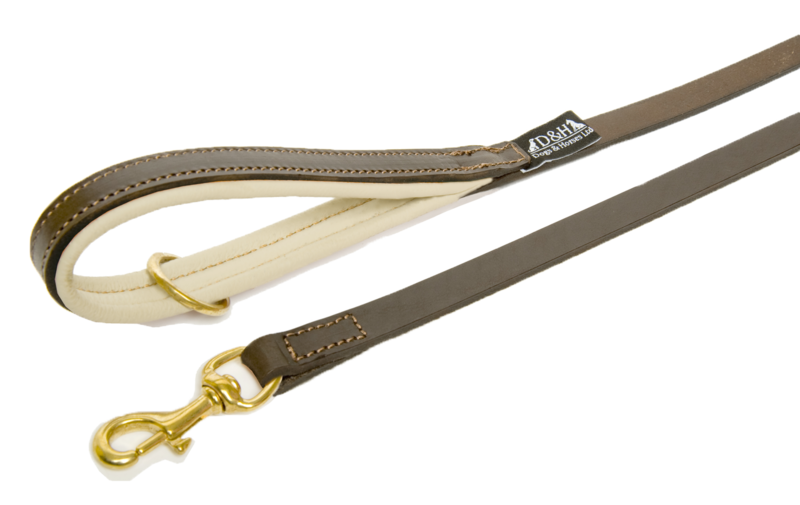 Many of our luxury leather dog leads here at Chelsea Dogs have a matching dog collar to go with them but if you are just after a sturdy lead that will last for years then we highly recommend the Dogs and Horses rolled leather dog lead available in a choice of colours. Some of our designer leather dog leads are handmade in the UK by top designers Mutts and Hounds and Dogs and Horses. We also have some trendy leather dog leads by Puchi which have sparkling crystals on so you can dazzle all the other dogs in the park.